Over the last ten years, as resident of the Czech capital’s Epic club, it has provided the optimum platform for Juraj to mount a live rendition of the album. Alongside ‘Remember The Night’’s solo moments, Driftmoon did call on some particular close chums and musical confidants to collaborate on its creation. Subsequently it came to include music made with Robert Nickson (under the duo’s Astrosphere moniker), Ferry Tayle and Ahmed Romel. Further, it’s also became a platform for a long overdue studio return for Paul ‘Re:Locate’ Moelands, as well as a pairing with Geert Huinink. 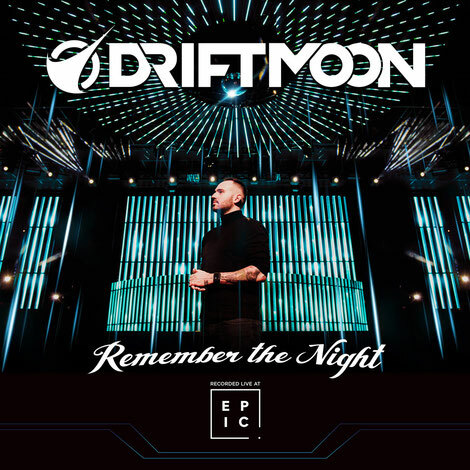 Recorded live at Epic, ‘Remember The Night’ is now on Blackhole Recordings.